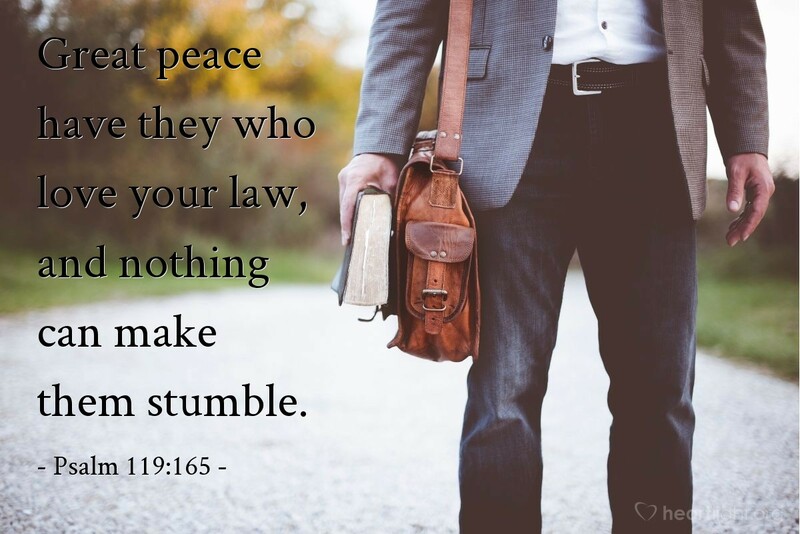 As someone who had a very clumsy stage of life, this promise is almost beyond believing — nothing can make me stumble! But when it comes to living life, if I know God's will, love it, and do it, then nothing can make me stumble. There is great peace knowing that the Father loves me and doesn't want me to fall. Thank you God for this day. Thank you for all that lies ahead. Thank you that I don't have to face today or tomorrow with doubts about my basic values and without a sense of your will for my life. Stir in me a love for your will and your word so that nothing can make me stumble. Empower me by your Spirit and guide me by your truth so that I may more perfectly reflect your character. In Jesus' name I thank you for hearing my prayer. Amen.